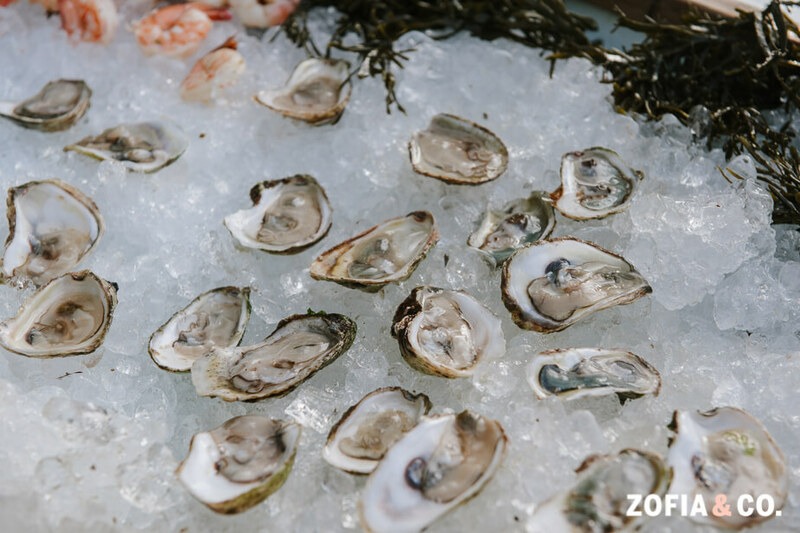 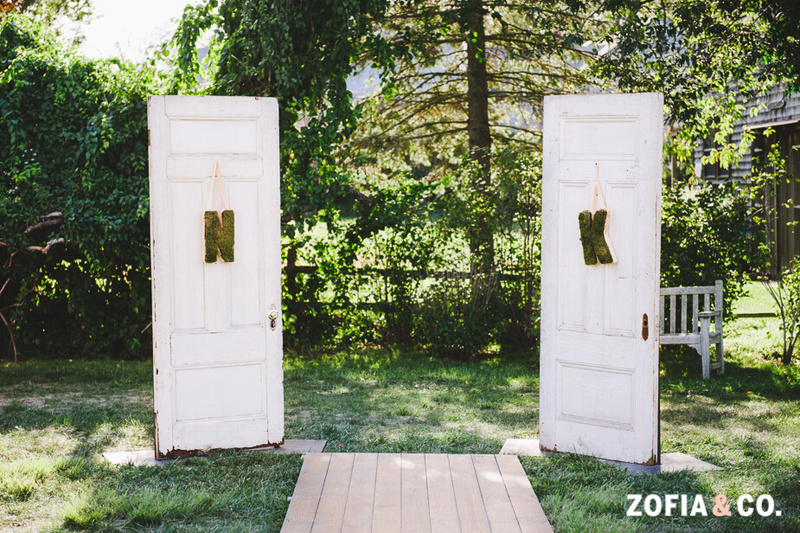 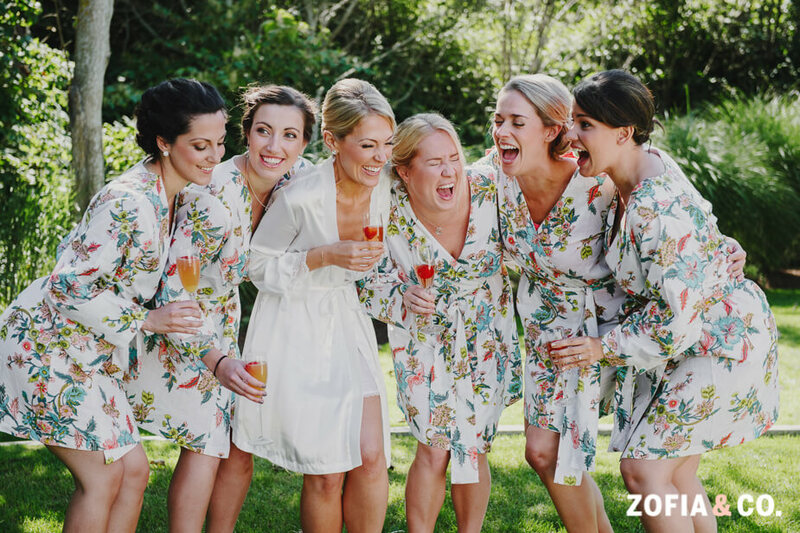 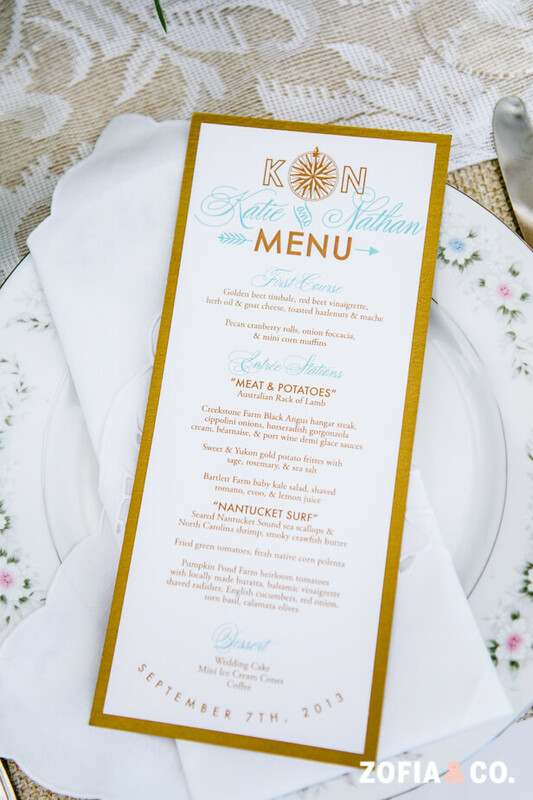 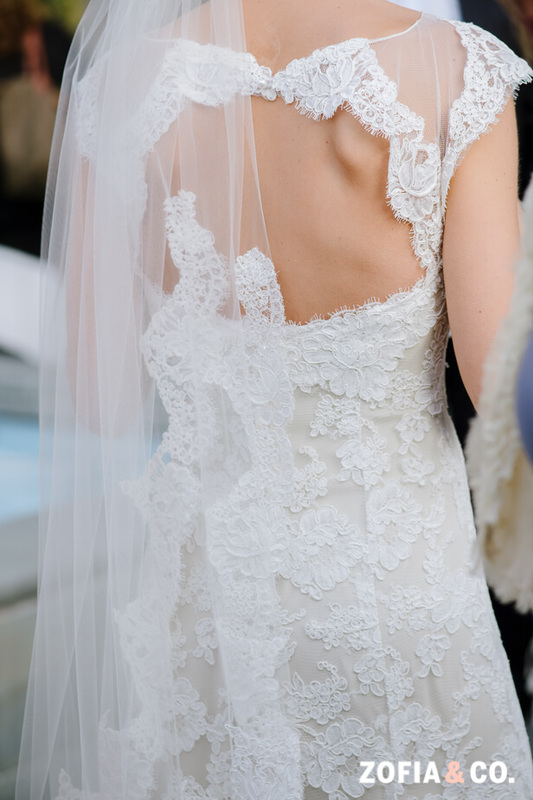 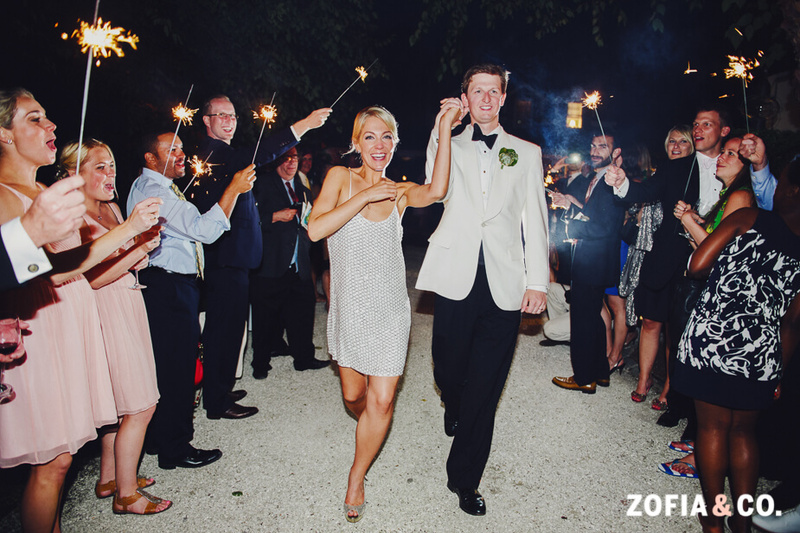 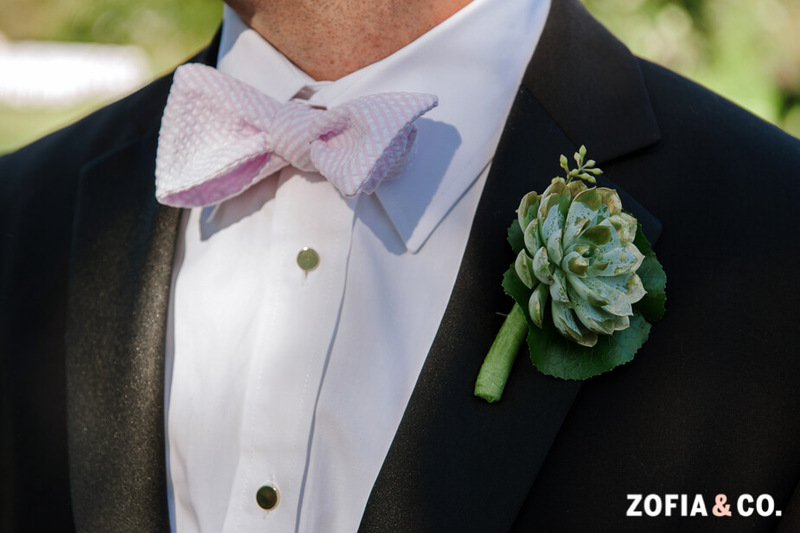 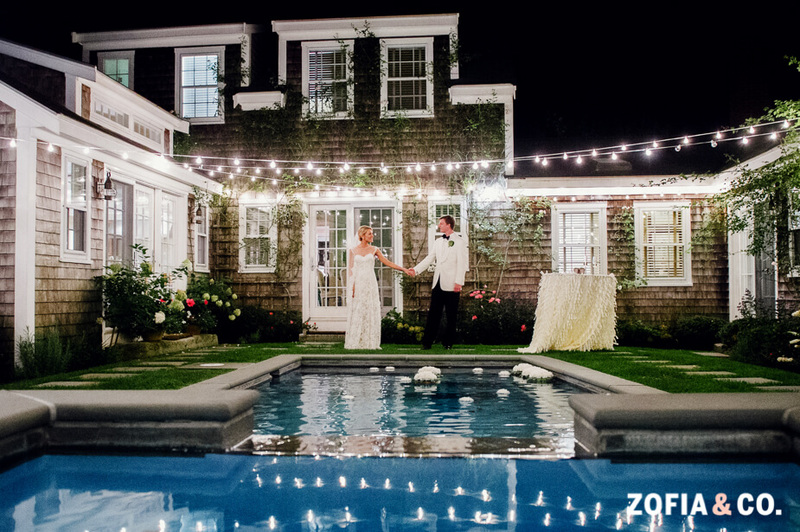 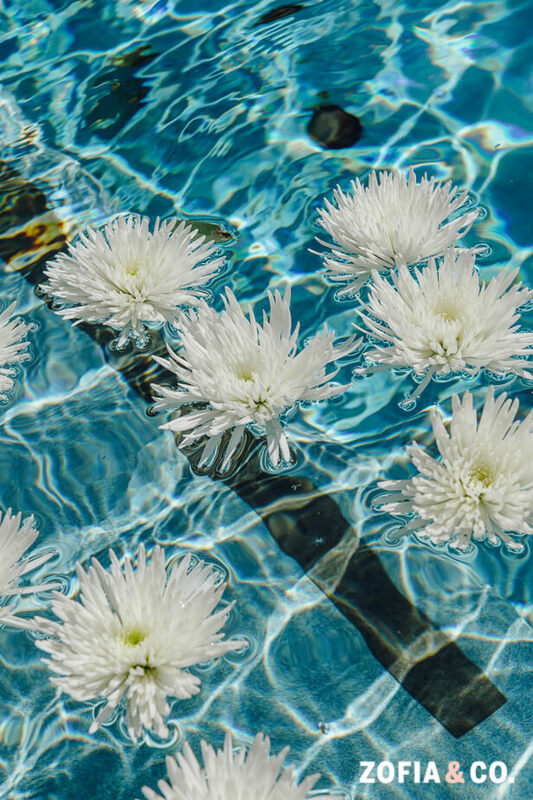 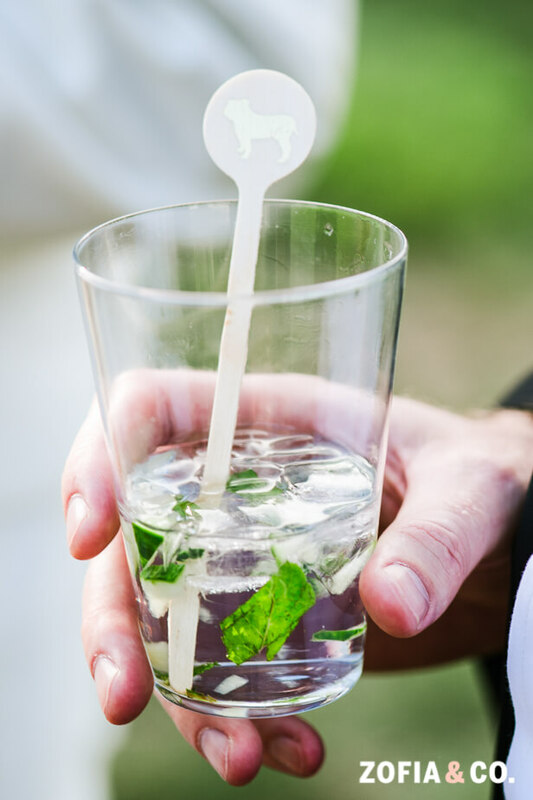 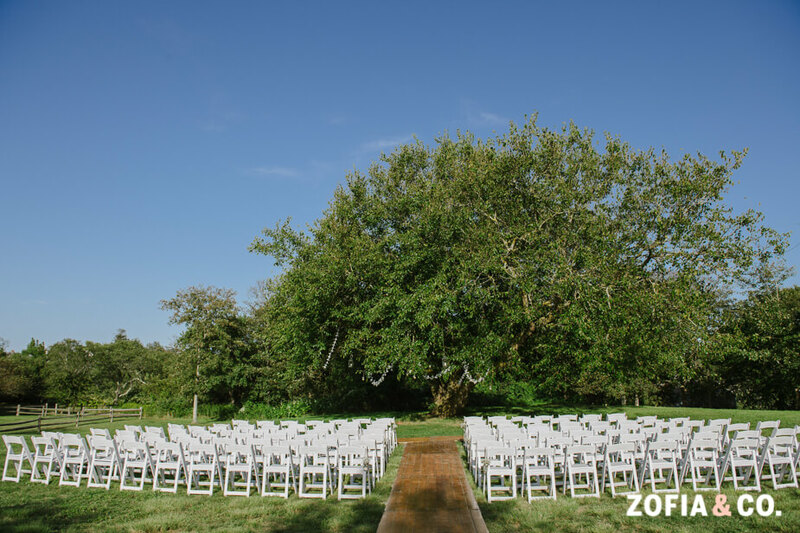 Katie and Nathan’s wedding at Nantucket’s Oldest House was one of our absolute favorites! 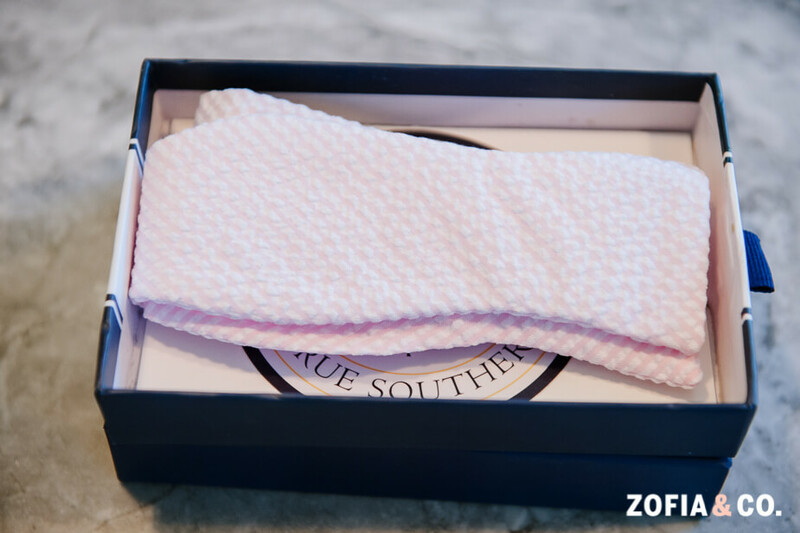 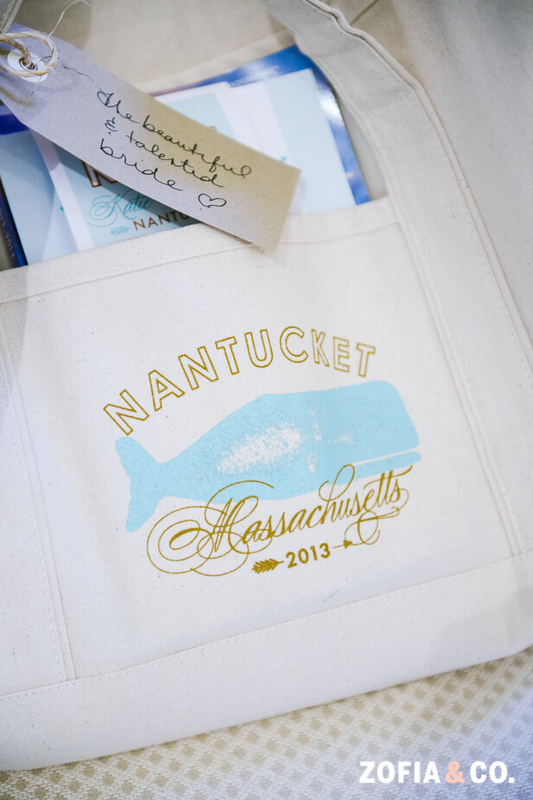 We do a lot of Nantucket weddings, but Katie had a vision of femininity balanced with the preppy reputation of the island, for her custom wedding invitation. 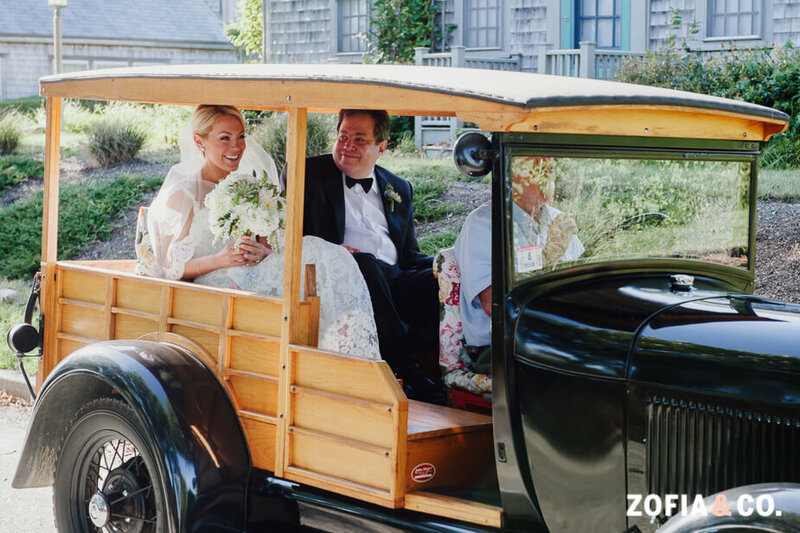 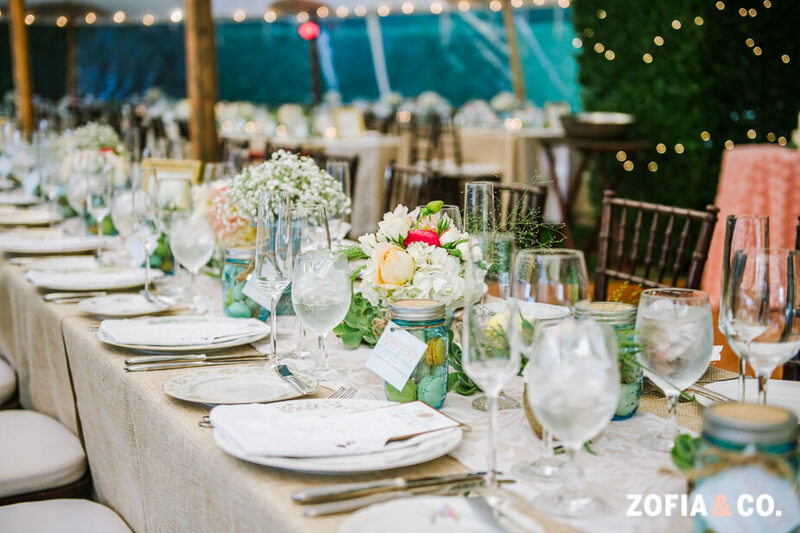 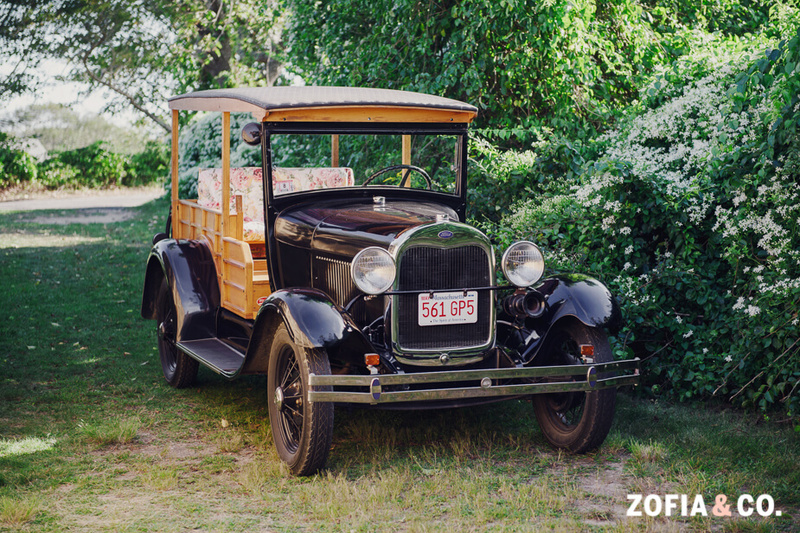 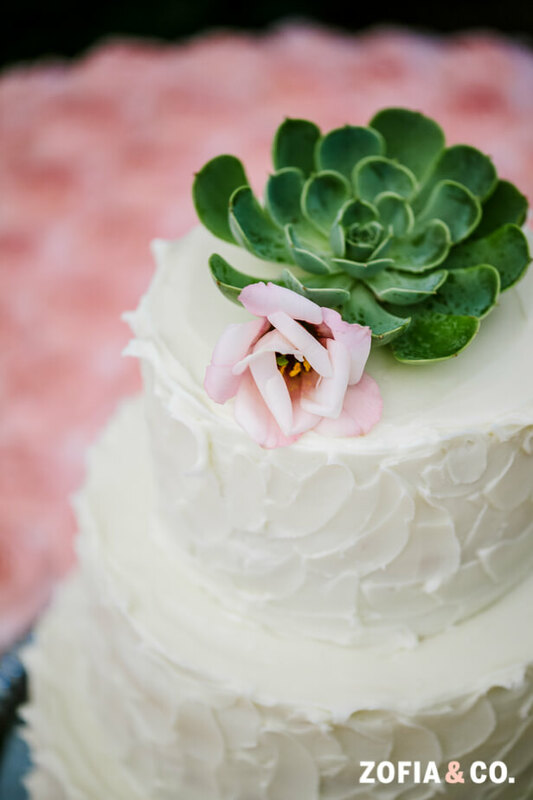 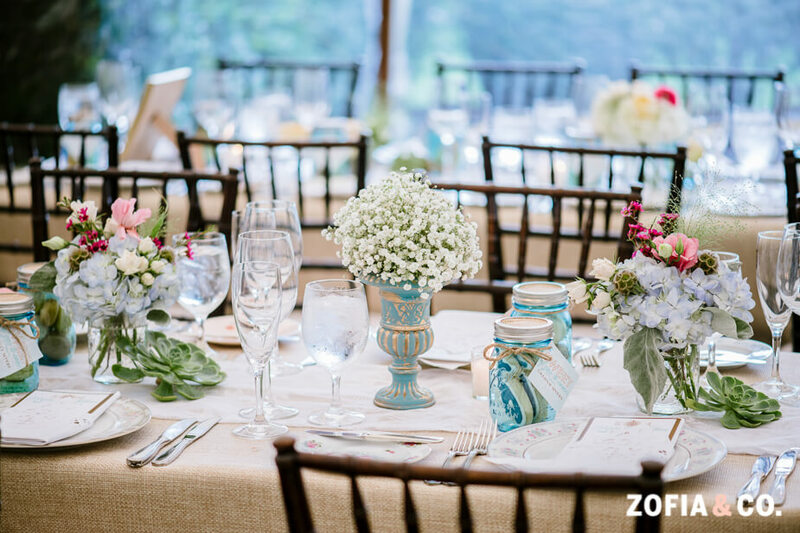 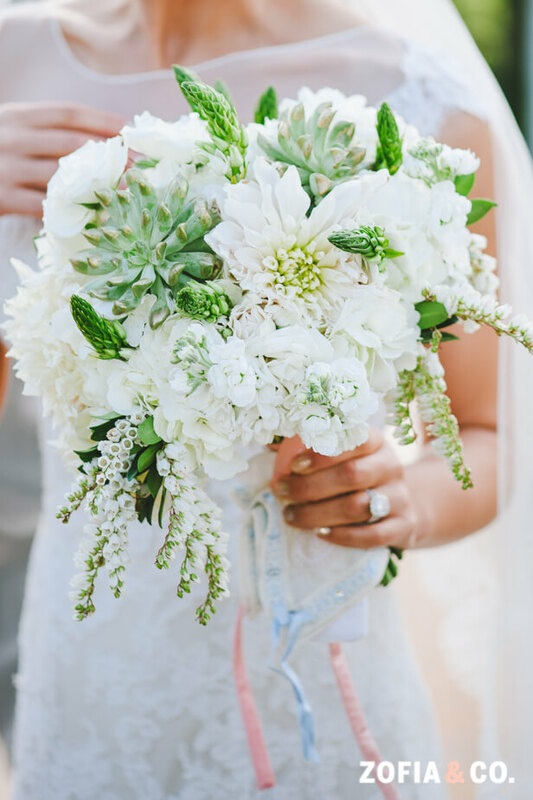 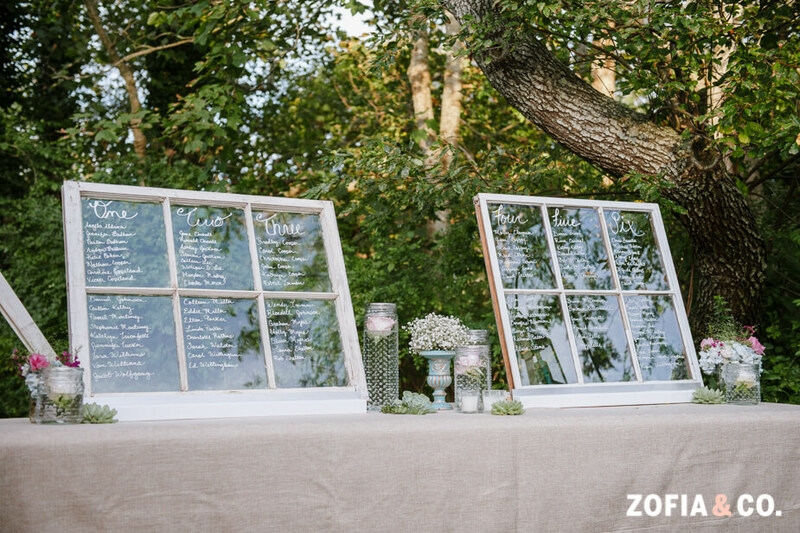 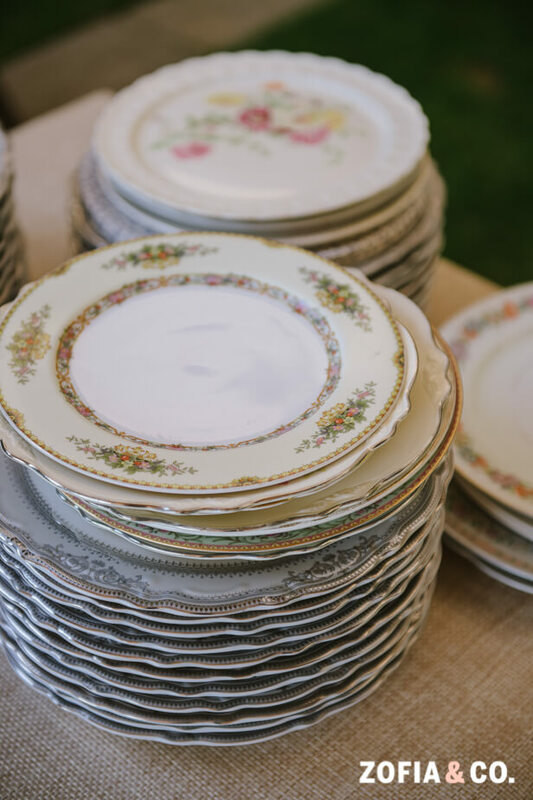 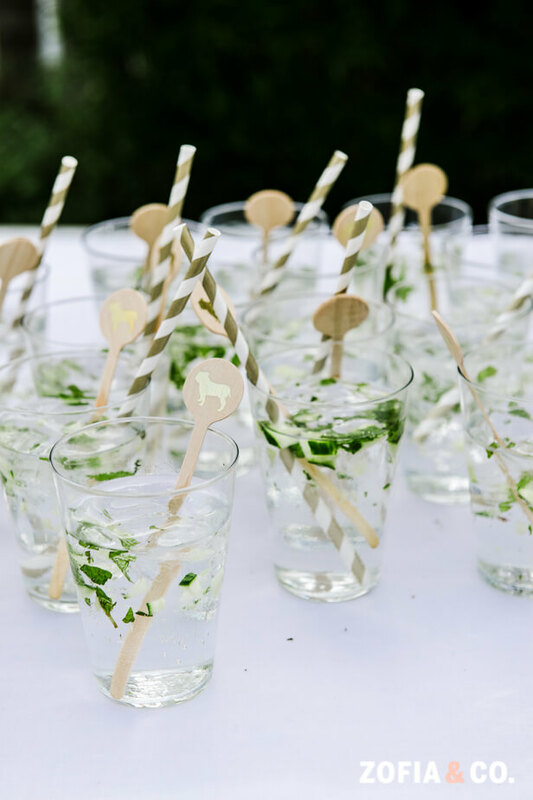 Rather than the typical nautical theme that most Nantucket brides want, she opted for throwing in a bit of vintage elegance! 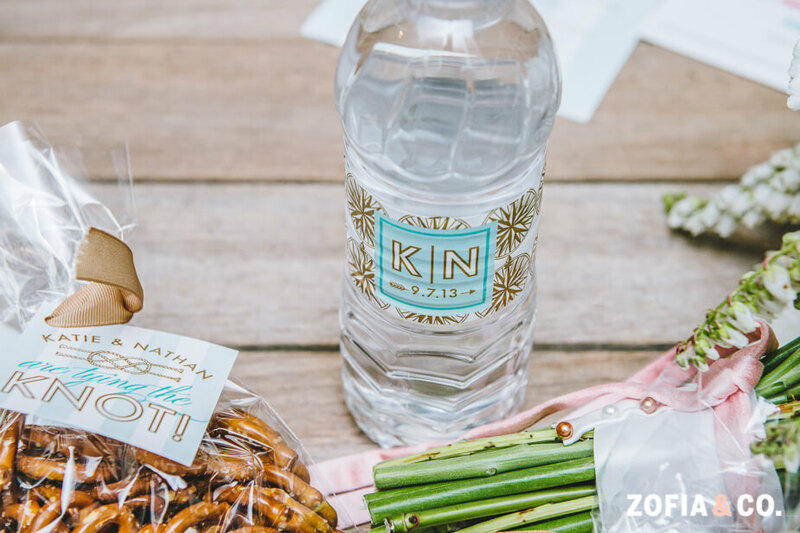 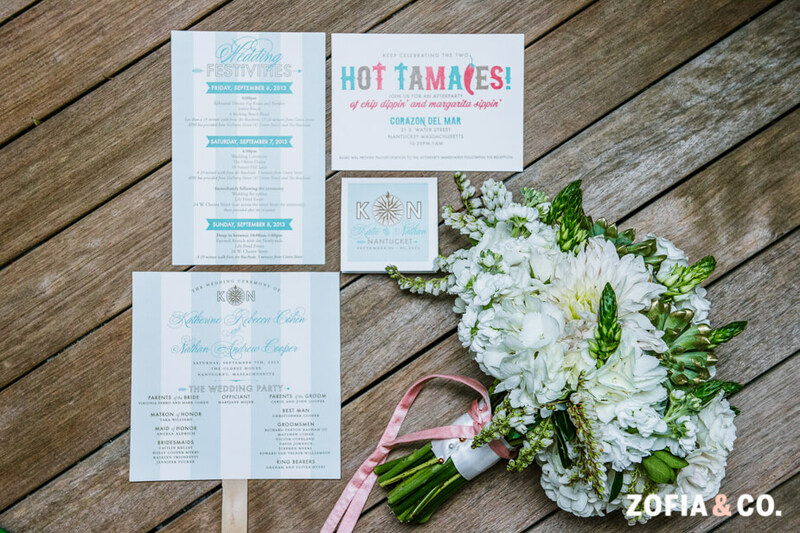 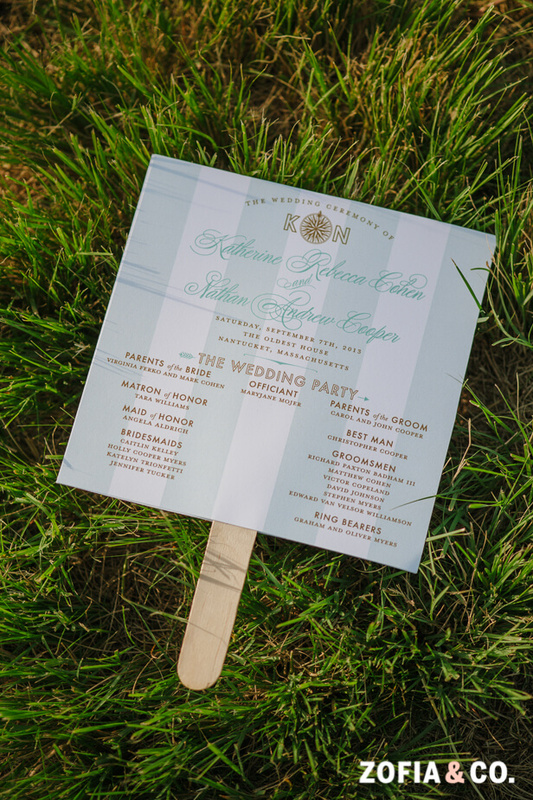 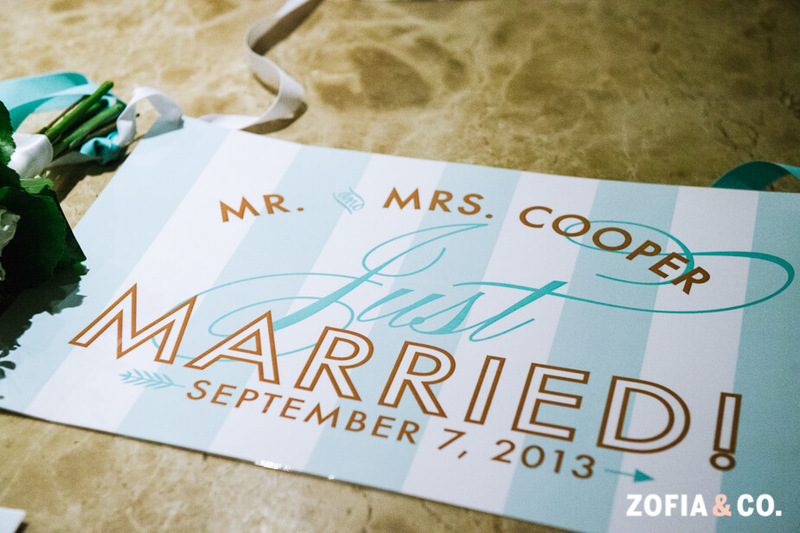 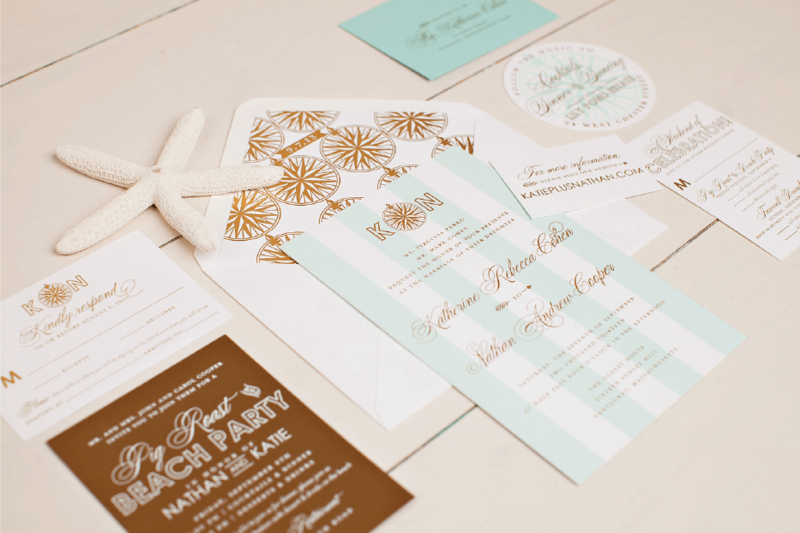 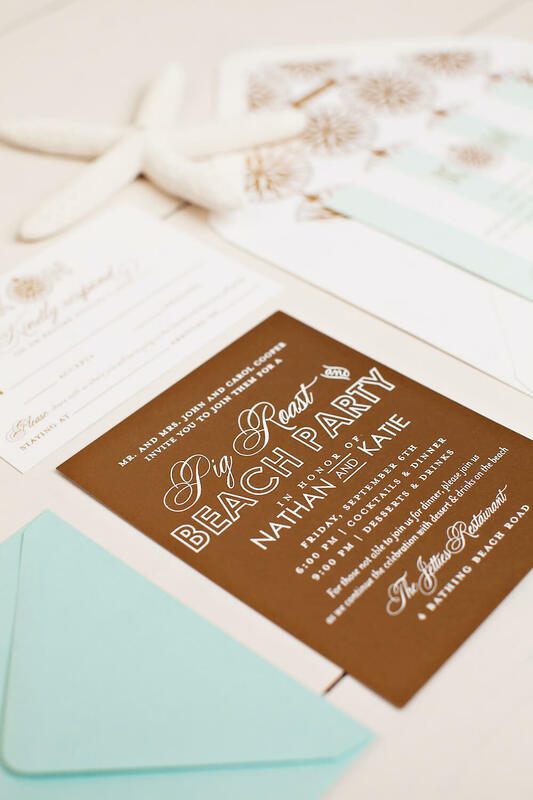 The gold foil stamped invitations for this Nantucket’s Oldest House wedding, were pale turquoise and white striped. 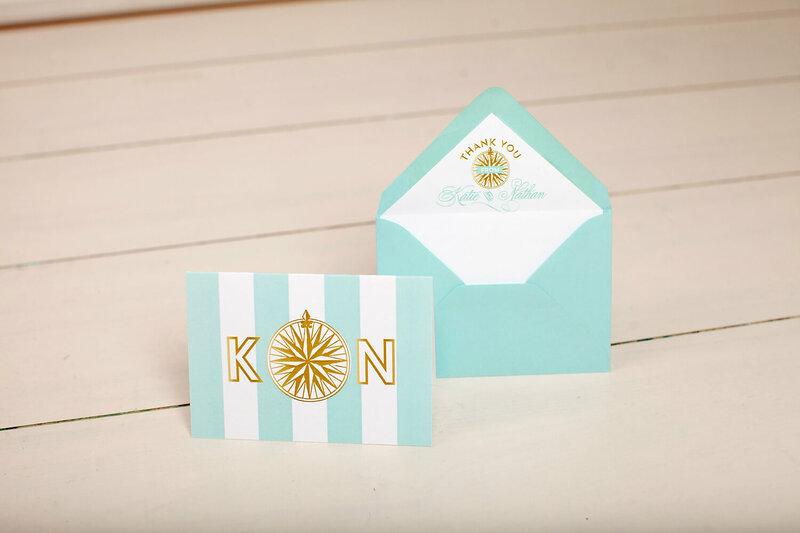 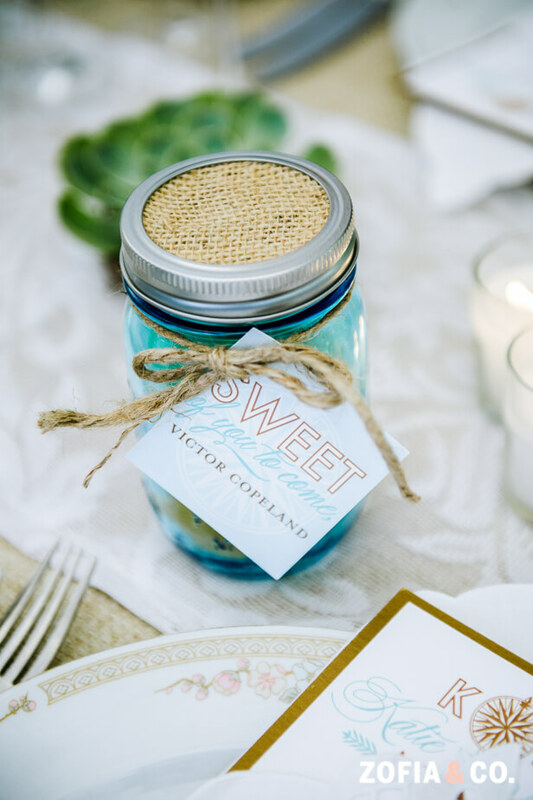 We were in love with the round reception card with the compass watermark, too! 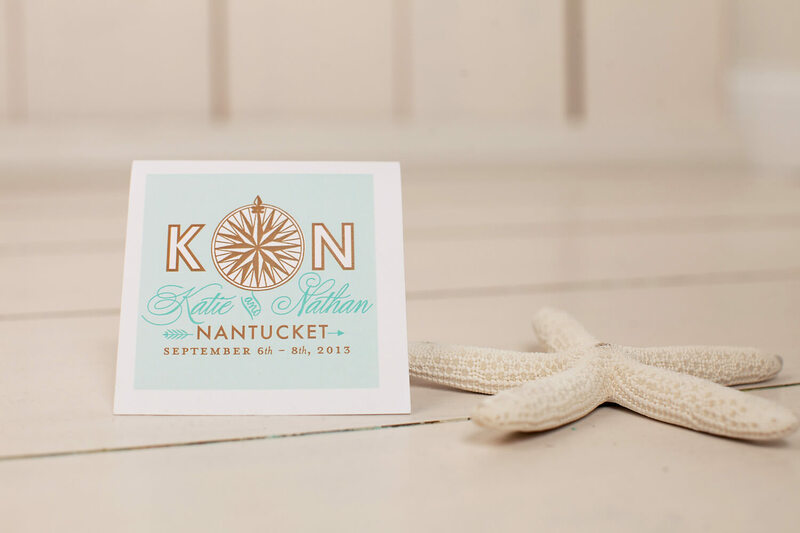 Katie and Nathan had a long distance relationship from almost the very beginning, so when designing her custom wedding logo the compass only made sense! 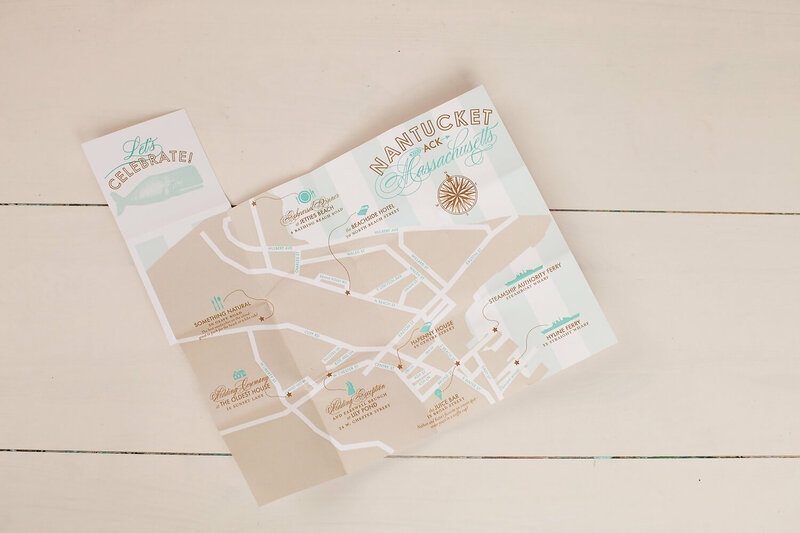 For guests arriving from near and far, we created a custom fold out map of Nantucket with the points of interest of the weekend! 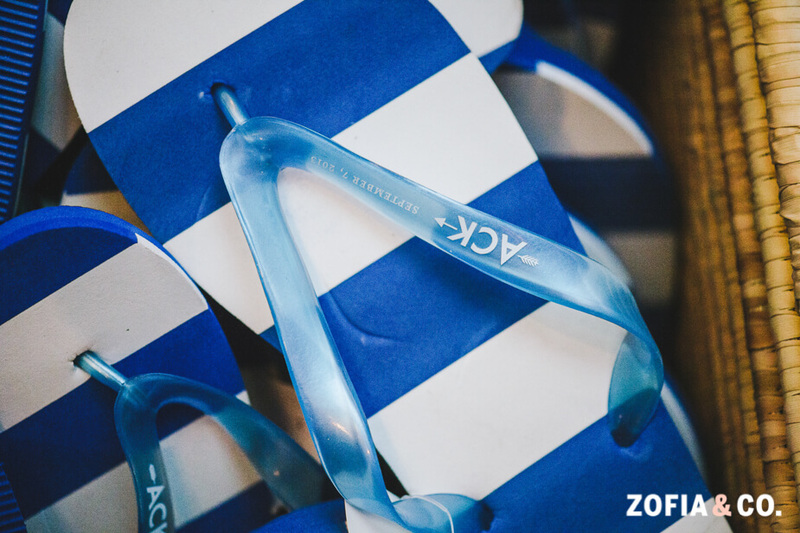 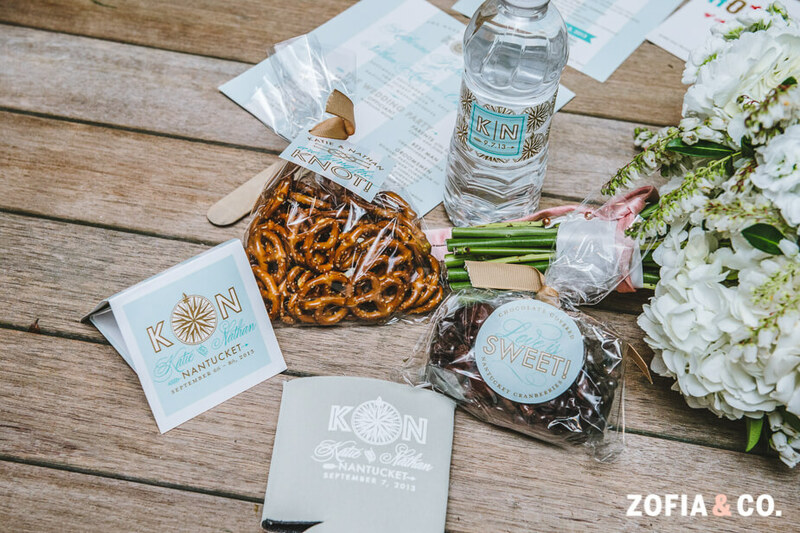 We had the wedding welcome bags custom printed and coordinated all the tags for the items inside using the wedding logo and the bride and groom’s initials. 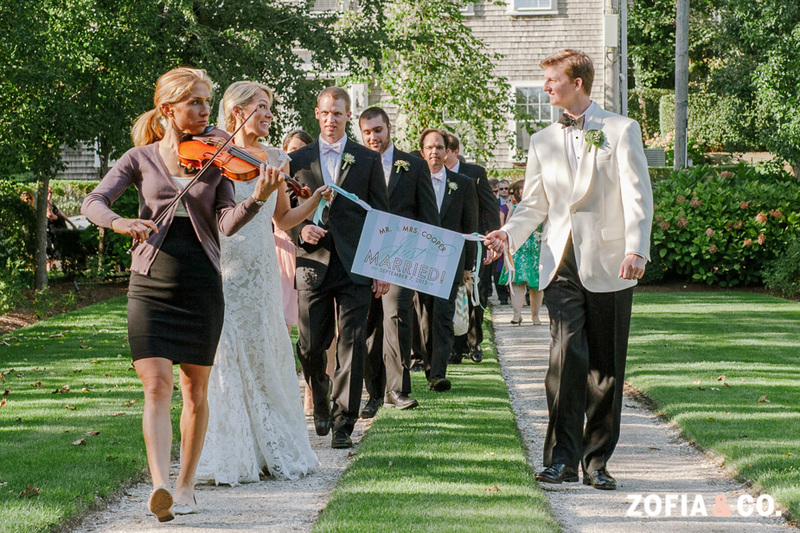 After this Nantucket’s Oldest House wedding, guests walked to the reception site at the Lily Pond Estate, led by Katie, Nathan, and a fiddler!